This is the inside of an actual church that was attended by slaves on Boone Hall Plantation. The bricks you see are original. 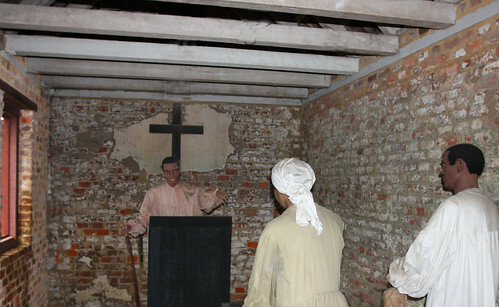 The Plantation has set up scenes, such as the one in this photograph, in some of the original slave structures.